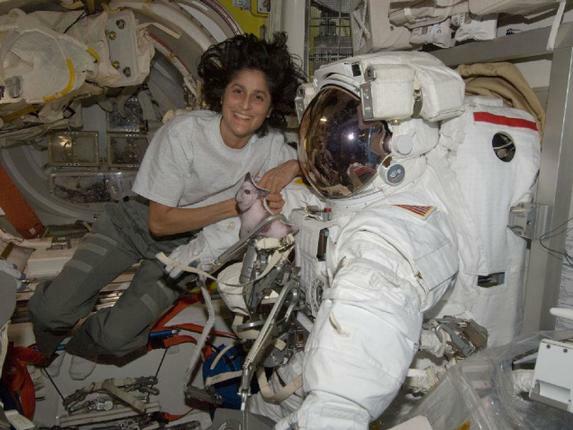 WASHINGTON – More than 9,500 student participants from the Student Spaceflight Experiments Program (SSEP) took part in a live video downlink with International Space Station Expedition 33 Commander Sunita Williams and Flight Engineer Kevin Ford. The long-distance conversation took place Thursday at the Smithsonian National Air and Space Museum in Washington. The event was co-hosted with the Department of Education and the National Center for Earth and Space Science Education (NCESSE) and was carried live on NASA Television. The downlink is an annual event held in honor of International Education Week, a joint initiative between the Department of State and the Department of Education that celebrates the benefits of international education and exchange. Approximately 130 students from D.C.’s Stuart-Hobson Middle School participated in-person in the Moving Beyond Earth Gallery at the museum. The rest of the students participated virtually from across the country. Selected students from both audiences had the opportunity to ask questions of Ford and Williams about life, work and research aboard the orbiting laboratory. Following the live Earth-to-station exchange, NASA Associate Administrator for Education and two-time space shuttle astronaut Leland Melvin gave a presentation and encouraged the students to study science, technology, engineering and mathematics (STEM). “You are the scientists, engineers and astronauts of tomorrow,” Melvin said. “America’s future of scientific research and space exploration is in your hands, and there’s no better way to prepare yourselves for those grand adventures than to start pursuing a STEM career now.” Jeff Goldstein, director of NCESSE, which sponsors the SSEP, also addressed the students and shared recent program highlights. 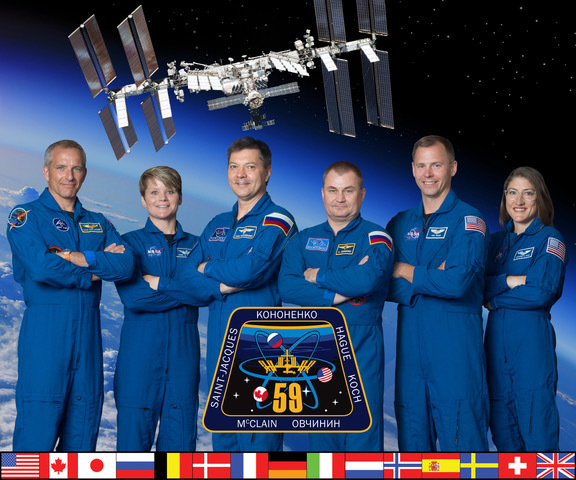 SSEP is an on-orbit educational research opportunity that allows students to design and fly experiments to the space station through a collaboration with NanoRacks, LLC, which is working in partnership with NASA as part of using the space station as a national laboratory. Other participants in the education activities included Deputy Secretary of Education Anthony Miller, Smithsonian Assistant Secretary for Education and Access Claudine Brown, and Director of the National Air and Space Museum Gen. J.R. “Jack” Dailey. This in-flight education downlink is one in a series with educational organizations in the United States and abroad to improve STEM teaching and learning. It is an integral component of NASA’s Teaching From Space education program, which promotes learning opportunities and builds partnerships with the education community using the unique environment of space and NASA’s human spaceflight program. Thank you from the Santa Monica Malibu Unified School District and the Silly Putty Crew for an unforgettable experience today. We will not soon forget it!